Pay-2-Win is a new series where we take a look at the coolest, rarest and most expensive gaming peripherals and memorabilia on the market. Scrubs need not apply. As a discerning gamer, you deserve the very best, so why settle for a rinky-dink 4K monitor when you can push things to the next level with an 8K monitor? Sure, professional gamers play their games on the lowest graphical settings possible to maximize performance, but where's the fun in that? If you want to see your waifus in the highest resolution possible, check this crazy monitor out. Oof, you thought 4K was top of the line? 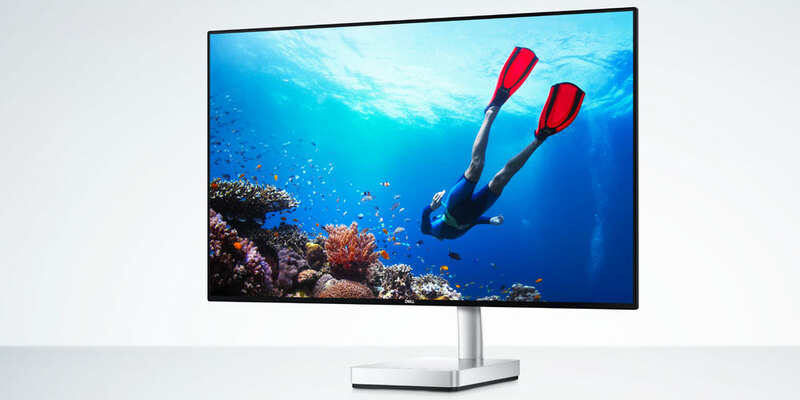 Dell clearly didn't get the memo when they announced the Ultra HD 8K UP3218K in January. At 31.5 inches, it might be a little smaller than you'd like but it's big where it counts. A big winner at CES 2017, scoring the coveted "Best Pixels" award from The Verge Awards, the monitor boasts a shocking 33.2 million pixel resolution with a density of 280 pixels per inch. For context, 4K monitors have around 8.3 million pixels. That means that not only will your games look sharper than it would on any other monitor on the market, but that colors will be deeper and richer than your own dreams. Capable of rendering 1.07 billion colors, which Dell says is "64 times more color depth than standard monitors," the blood and demon guts of Doom (2016) will be richer and redder than ever before. With a response time of six microseconds and 60Hz refresh rate, there might be better high-performance gaming monitors out there if you're hyper-competitive. However, if you like gorgeous visual fidelity over squeezing out every last drop of FPS possible, the UP3218K is the monitor for you... at least if you've got $6,500 to spare that is. Admittedly, this monitor is quite lit, however the minimalist design is a little Plain Jane and might not go with your beastly, multi-colored rig. Also, as badass as the 8K resolution is, fact is the majority of games won't be optimized for it for another year or two. Still though, trying to run games like Battlefield One in 8K at 60 FPS will at least put your twin 1080s through their paces...even if it'll melt your CPU in the process.